The Leopard Seal is widely distributed in Antarctic and sub-Antarctic waters of the southern hemisphere, and its name originates from the black spots seen on the throat. 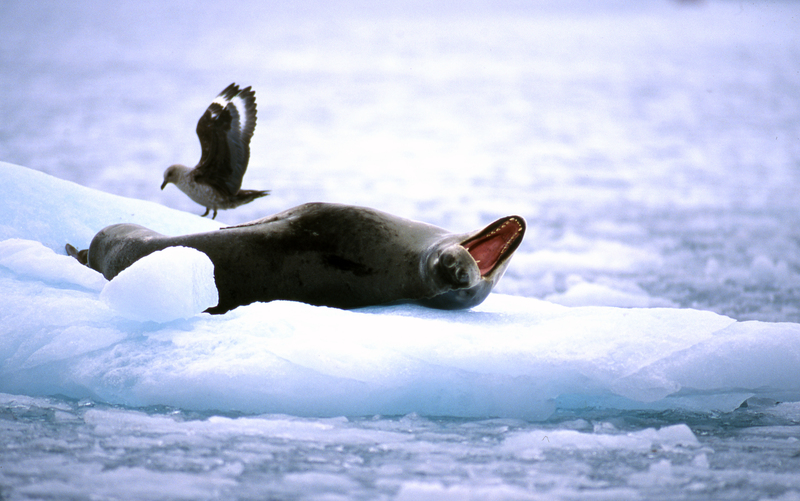 It preys on penguins, but will also eat krill, fish, squid, a variety of seabirds, and juvenile seals, and will also occasionally scavenge from carcasses of whales. Breeding patterns are difficult to monitor on the moving pack-ice of the Antarctic, but the average lifespan is around 26 years.